Have you ever wanted to stroll around a castle? While traveling through Europe, you have to see at least a few! 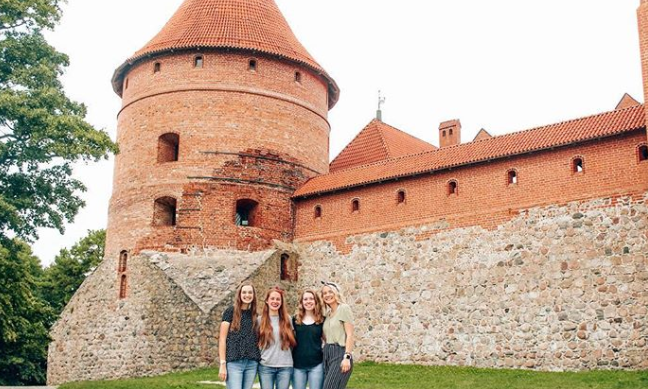 Here's everything you need to know about visiting one of our favorites located in Lithuania: Trakai. Lithuania is a charming country that we absolutely adore! It has beautiful and historic beach towns, stunning architecture, unforgettable cafes, castles galore, a tiny and fabulous spa town...you get the point. Just so many reasons to fall in love with this country! And it's an easy spot to jump from if you're up for visiting all of our other favorite European countries. What Does It Take To Be An ILP Volunteer? 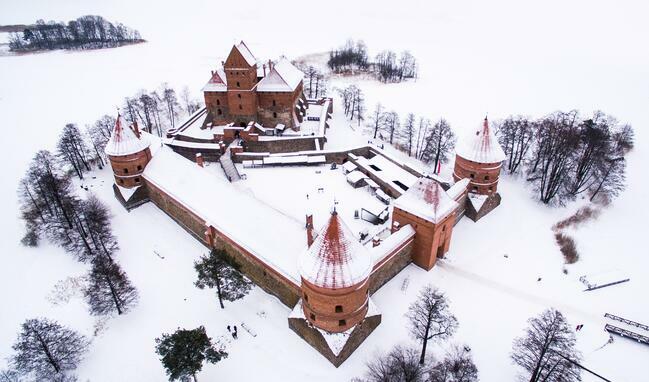 The Trakai castle is located on an island in Lake Galve and is sometimes referred to as "Little Marienburg". It's not far from Vilnius, so make sure that you spend some time in that city too, using are complete guide to Vilnius. 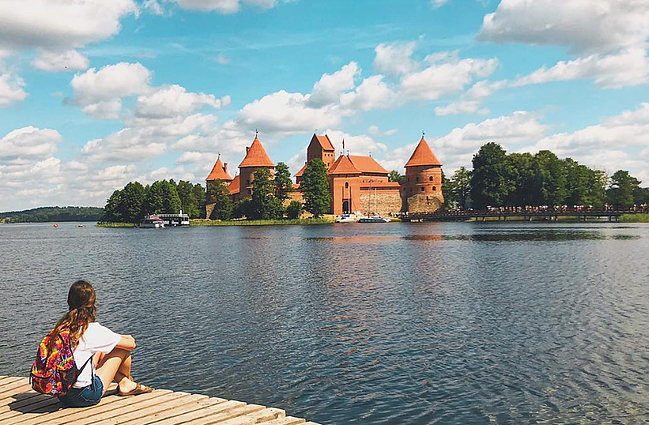 Here's everything you need to know about visiting Trakai, a photogenic castle and town that have a lot of character! The first construction of this vibrant orange castle took place in the 1300s, but it fell into disrepair not long after. It later served as a private home, prison, and royal summer residence. In the 1600s it was plundered and completely left in ruins. Restoration began in the 1800s and was carried out by Germans, Poles, and even Soviets, but the project wasn't completed until after WW II. The castle rests right in the center of a tiny island with only a skinny bridge connecting it to the mainland. Quite the picturesque dreamland. First of all, get there as early as you can to avoid the major crowds of tourists! There are a few buses that leave from Vilnius every hour, even in low season, and the ride only takes about 45 minutes. Just head to the Vilnius bus station and go to platform No. 6, 7, 8 (local), 28 or 29 (intercity). A single ticket will cost you €1.80 ($2). When you arrive at the Trakai bus station, turn right and you should just walk straight ahead. This walk will take 20-30 minutes, and there will be signs once you get about 100 meters from the castle. They'll point you to the tourist information center and from that office you'll be able to see the castle! If you're coming from Kaunas, take bus #39 and get off at Kauno Pilies. A picnic lunch if the weather is good. Water. Comfortable walking shoes. Camera. Your ISIC card or student ID if you want major discounts on admission tickets. With so much to do at this historic site, you really can spend several hours just enjoying this castle and the small town around it. They also sometimes have really cool festivals by the castle, like this medieval one they had in 2018, so make sure you do some web surfing to see if anything like that is happening while you're in Lithuania. If you'd like to go into the castle (museum), you'll need to pay about $9. Unless, you have your ISIC card, and then you only pay half of that. Get more information on their website. You may have to pay a little extra to take pictures as well. The inside is decorated in the medieval style (including a few wax figures) and brings that time period to life! The round tour of the castle is especially iconic and houses an incredible art gallery! Sailing in a moat around a medieval castle? Now that is the European dream! If you're here during the summer when the weather is nice the boat and kayak tours are an additional cost, but worth it. This boat company takes you around the entire lake for 12 Euros, but you can find other options at the castle if you just want to kayak around. There are also some paddle boats to rent if you prefer getting a leg workout instead of an arm one. 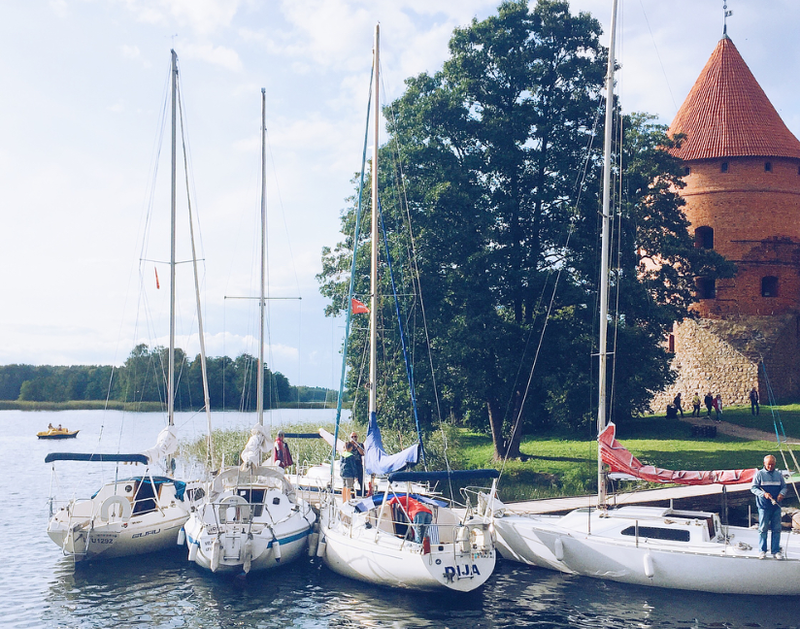 As a head's up, even though this place is stunning in the winter, we suggest going to Trakai when the lake isn't frozen over, especially if you're up for a boat ride or even a swim! The grounds are open 24/7 and are free to explore, which is especially extraordinary when everything is green. Take some time to sit down by the lake with the castle behind you and enjoy your scenery. Bring a picnic lunch (with a few of these favorite Lithuanian treats) for the ideal afternoon. Afterwards, make sure you have enough time to explore the colorful surrounding village! Right across from the castle are little shops and vendor stalls you can browse. The sweet old ladies love it when you peek at (and purchase) their souvenirs. There are also several places to eat some traditional Lithuanian food (try the kibinai: stuffed meat pastries). 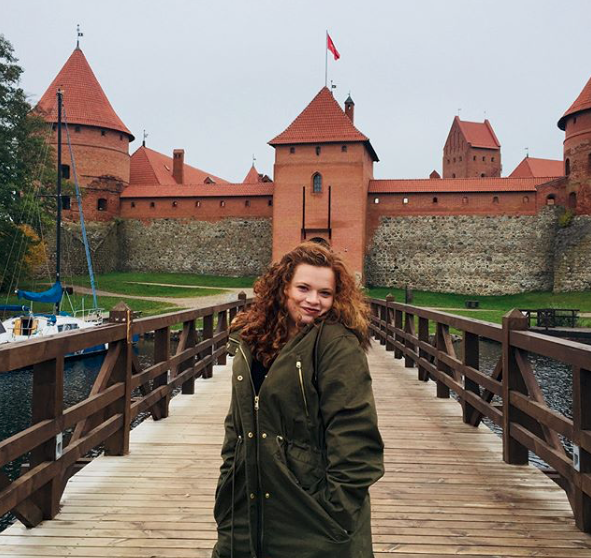 The town of Trakai itself is very charming and has a few markets and beautiful parks that are worth seeing after you've had your fill of the castle. Make sure you also check out St. Virgin Mary Church, and any other landmarks you may stumble across in Trakai. Want to talk to someone who has actually volunteered in Europe? and the volunteer opportunity that is waiting for you! who has lived in Europe for an entire semester.